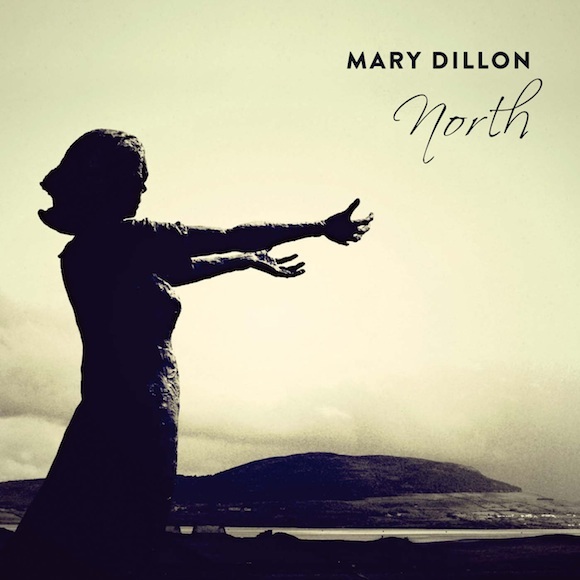 Mary Dillon’s debut solo album, North, is one of the most eagerly anticipated folk albums of the year. A former member of Irish band Déanta in the 1990s, the Derry singer has been absent from the music scene for over a decade, but returns in 2013 with a renewed energy to showcase a diverse collection of folk songs from the Ulster singing tradition. Having spent the past fifteen years raising a family, occasionally stepping into the studio to lend guest vocals to some of her friends’ projects, Mary is ready to rejoin her internationally-acclaimed sister Cara as one of the torch bearers of Irish traditional singing. The Month Of January will be a familiar title to listeners of Irish traditional song, but on the album Mary gives the song a different edge to the sombre, mournful lament it usually elicits. ‘I tried to reflect the cruelty of the tale, and tried to channel the anger and despair of the young woman in the song.’ The resultant performance is fiery and passionate, demonstrating one of the many strands of her vocal capability. Light and shade is created throughout her delivery of the album’s ten songs, with When A Man’s In Love and The Banks Of Claudy tinged with irony and sharp wit, alongside emotional and poignant performances on the love songs and Irish lament, ‘Ard Tí Chuain’. Fans of Mary’s previous work will be familiar with the song John Condon, a harrowing account of a fourteen-year-old boy’s role in WW1. Having sung the original demo recording of this song in 2003, which subsequently became something of a modern folk classic, she has re-recorded it with a stunning new vocal on North. Indeed, the album has musical contributions from a host of northern musicians, including Belfast composer Neil Martin, who wrote a string arrangement for one of the album’s standout moments - the devastatingly poignant Edward On Lough Erne Shore. Having been off the circuit for so long, Mary looks forward to performing her new material at a selection of gigs in the next few months, starting with Celtic Connections on 19th January. She will also be touring as part a new singing trio, Sí Van, with fellow Irish folk singers Niamh Parsons and Tíona McSherry, making 2013 a very busy year.